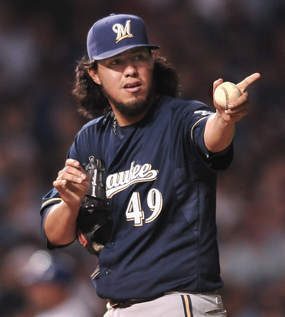 > The Milwaukee chapter of the Baseball Writers’ Association of America handed out their annual awards to Brewers players on Monday. Most of the awards went to the guys you’d expect to receive awards, but there were a few surprises. Ryan Braun received the MVP award- I want to say unanimously because he received all eight first-place votes, but there were other players to whom the award would have been worthy. 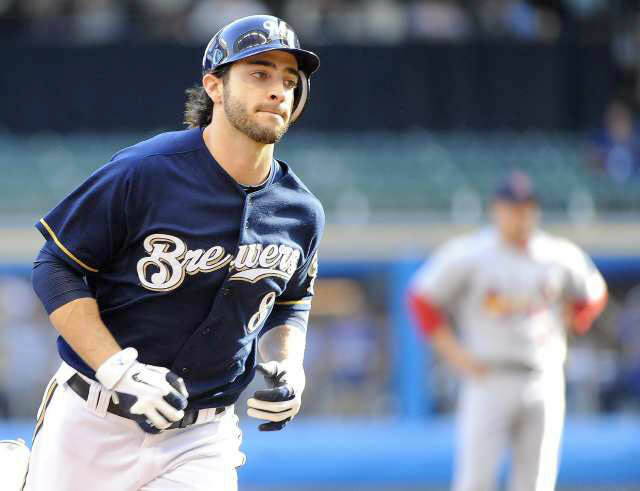 Braun backed up an MVP season in 2011 with a 2012 that was just as good: 41 home runs (a career-high for him), 112 RBIs, and a .319 batting average. Braun also stole 30 bases for his second straight 30-30 season. He led the National League in home runs, total bases (356), runs (108), and OPS (.987). He also tied for the league lead in extra-base hits with 80. Yovani Gallardo took home the best pitcher award, and we can safely say that was unanimous (he also received all eight first-place votes). He put up close to identical numbers to his 2011 season in 2012, going 16-9 with a 3.66 ERA. 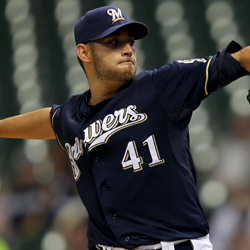 Those 16 wins led the Brewers by a landslide, and tied him for sixth in the NL. Gallardo also had his fourth straight 200+ strikeout season (204 this year). 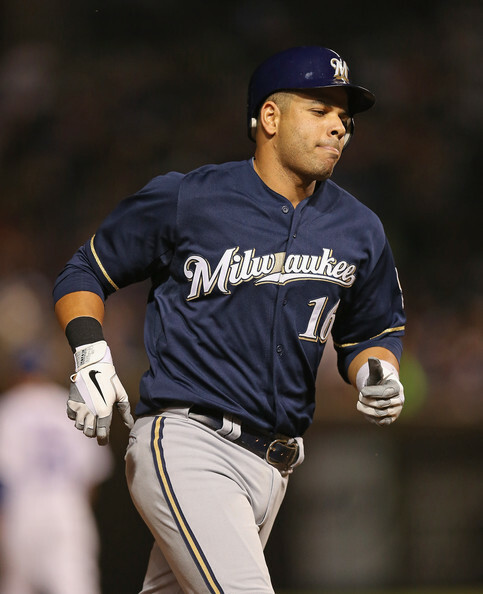 Aramis Ramirez won Top Newcomer, taking seven of the eight first-place votes. He hit 27 home runs and had 105 RBIs in his first season with the Brewers. Ramirez also reached the .300 mark on the last day of the season. He led the NL in doubles, was tied with Braun for the most extra-base hits, and was just three shy of Lyle Overbay’s franchise record for doubles. Ramirez was also the best defensive third baseman in the league, as he had the fewest errors and a .977 fielding percentage. Norichika Aoki took the other first-place vote after his sensational rookie season. Somewhat surprisingly- but deservingly- Marco Estrada won the Unsung Hero award. He went just 5-7, but had a very respectable 3.64 ERA, and was a reliable option after being thrown in the rotation full-time. Carlos Gomez, Martin Maldonado, and Mike Fiers also received first-place votes for the Unsung Hero. 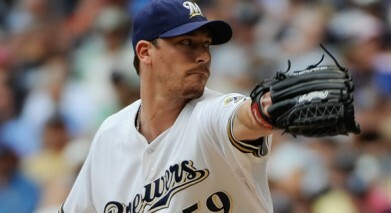 Lastly, John Axford received the Good Guy Award. I’m in agreement with this one since Axford managed to keep a positive attitude through his struggle of a season in 2012. Corey Hart, Nyjer Morgan, Gomez, and Estrada also received first-place votes for this award. > There are games in progress right now, but here’s the coverage from the last two days. > The Giants defeated the Cardinals, 7-1, on Monday. The Giants got their first start of more than six innings, as Ryan Vogelsong threw seven strong. Meanwhile, the Giants’ offense took advantage of some shoddy Cards defense to knock around Chris Carpenter. Angel Pagan hit a lead-off home run, and Marco Scutaro and Ryan Theriot had two RBIs apiece. > The Yankees’ offense remained dormant, as they lost to the Tigers, 2-1, last night. The fact that Justin Verlander was pitching (8 1/3 IP, 3 H, 1 ER, 3 K) might serve as an excuse, but now the Yanks are a game from elimination. The Tigers, meanwhile, can reach the World Series for the first time since 2006. > Livan Hernandez and Yorvit Torrealba each elected free agency after rejecting their outright assignments. > The Brewers added Jesus Sanchez, a righty reliever, to the 40-man roster. He had a 1.62 ERA in 71 2/3 innings combined at Double-A Huntsville and Triple-A Nashville. If only Jesus could have saved our bullpen this year. > Buster Olney suggested that the Brewers are players for Josh Hamilton, who will more than likely be one of the most highly-touted free agents on the market. The Brewers probably don’t have the money, but might be able to sway him since Johnny Narron is one of their coaches. Narron and Hamilton are very close. > MLB Trade Rumors looked at the offseason situation for the Brewers. Cubs: Acquired Marcelo Carreno from the Tigers to complete the August Jeff Baker trade. Mets: Removed Justin Hampson and Rob Johnson from their 40-man roster, making them both free agents. Dodgers: Outrighted Blake Hawksworth, who elected free agency. Blue Jays: Claimed Scott Cousins off waivers from the Marlins; claimed Cory Wade off waivers from the Yankees; designated Juan Abreu for assignment. Red Sox: Claimed Sandy Rosario off waivers from the Marlins; designated Che-Hsuan Lin for assignment. Nationals: Outrighted Carlos Maldonado and ex-Brewer Brett Carroll, both of whom elected free agency. Orioles: Outrighted Ronny Paulino and Dana Eveland, both of whom elected free agency. Yankees: Outrighted Justin Thomas, who elected free agency. Marlins: Outrighted Nick Green, Donnie Murphy, and Gil Velazquez to Triple-A. > Rumors have been circling ever since Monday’s extra-innings Tigers-Yankees game that Alex Rodriguez was caught flirting with fans while he was in the on-deck circle. Well today it was confirmed, and now there are pictures to go with the story. Turns out one of the blondes he was talking to is a model.